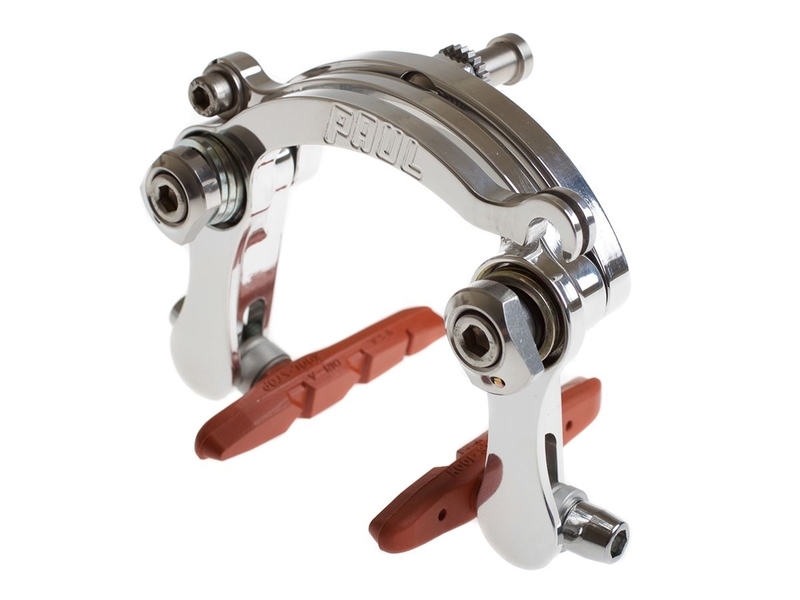 The Racer brake is a centerpull caliper brake with long reach arms and plenty of clearance. Based on the classic Mafac centerpull, the Racer brake has been updated with modern materials and manufacturing. The long reaching arms are CNC machined with a T-shaped profile that makes them very stiff. The widely spaced pivots that make room for larger tires and full-coverage fenders. Kool Stop brake pads with spherical washers and sealed pivots with adjustable spring tension round out this fine brake. The Racer was originally designed to mount directly to the frame via centerpull brake bosses. When a Braze-On Racer is mounted to these specially positioned centerpull brake bosses the brake is especially stiff, weighs less and has a simple integrated appearance. 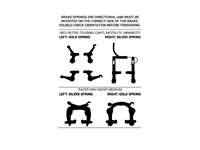 It is important to note that the Braze-On Racer does not mount to brake bosses in the standard cantilever position, and it will not work with U-brake bosses. Reach is determined by the height of the centerpull brake bosses, which can be positioned by a framebuilder to match up with 700c, 650b, or 26" wheels. 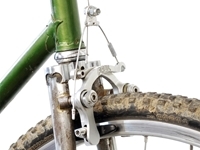 The Center Mount Racer is a long reach brake, and has 57mm to 67mm of reach (when measured diagonally from the centermount to the top of the brake pad). This works great on frames designed for long reach brakes, and can convert frames designed for 27" wheels to 700c, or 700c to 650b.